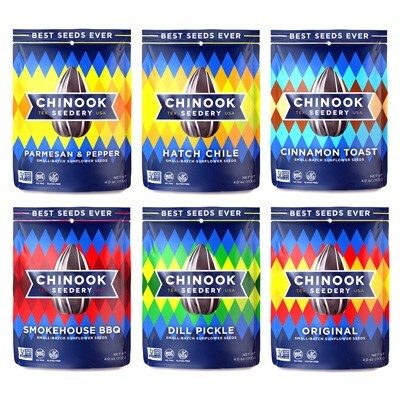 Try out all six flavors of Chinook Seedery Sunflower Seeds with this Six Flavor Variety Pack. 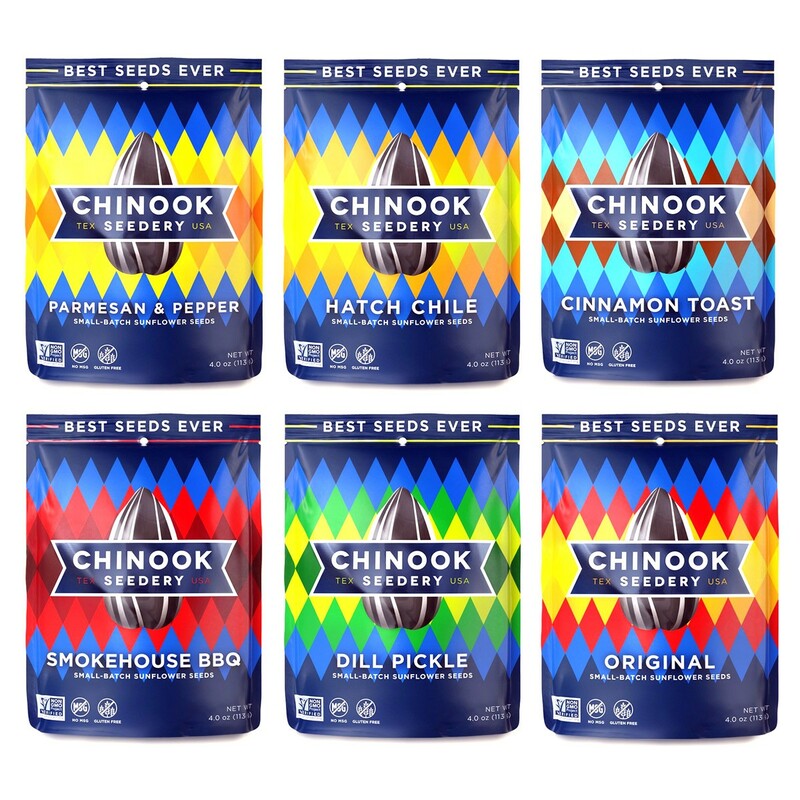 You will receive a 4oz bag of each flavor including Original, Dill Pickle, Cinnamon Toast, Hatch Chile, Smokehouse BBQ, and Parmesan & Pepper. 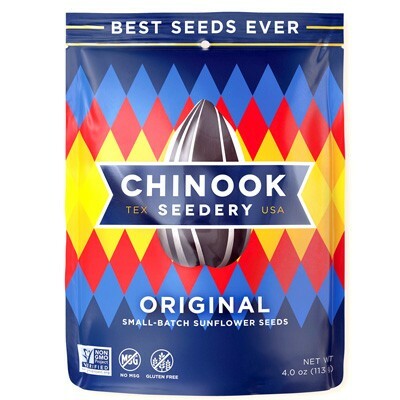 Original - Chinook Seedery original flavor sunflower seeds are anything but ordinary. Massive seeds slow roasted by hand and salted in small batches to make sure everything is just right. Add a dash of organic cane sugar to the mix and you've got seeding experience unlike any other. Dill Pickle - Something about the combination of fresh dill pickles and sunflower seeds just seems right. Taste buds everywhere seem to agree - Chinook hit this one out of the park! Cinnamon Toast - The best thing since actual Cinnamon Toast, it's salty-sweetness that will make your mouth water. At only two grams of sugar per serving, these sunflower seeds are sinfully delicious and are still really, really good for you. Talk about a win-win. 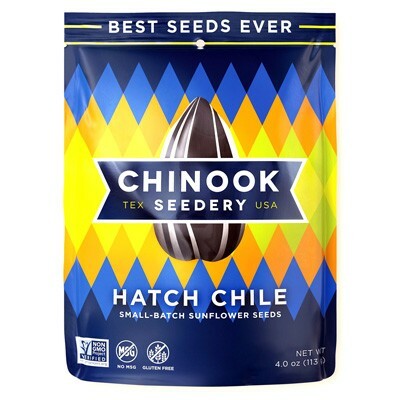 Hatch Chile - Take a walk on the spicy side of life with the heat of authentic hatch green chilies. Throw in a little onion, some jalapeño and habanero peppers, and you get a whole lot of "Woah, those just might be the best seeds ever". Smokehouse BBQ - When smoky meets savory meets straight from the heart of Texas, you get something magical. These seeds aren't just your run-of-the-mill barbecue. 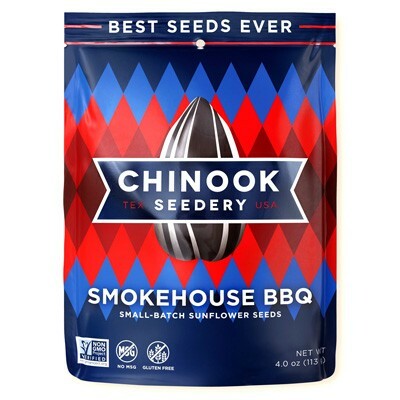 Nope, these bad boys are Smokehouse BBQ, and they're unlike any seeds you've ever tasted. Parmesan & Pepper - Bold, different, and delicious. We've heard people say, "I didn't even know I liked sunflower seeds until I tried your Parmesan & Pepper." Whether you're a veteran seeder or a little newer to the game, Parmesan & Pepper is flavor combo that will forever change the way you snack.